HomeHealthCould gum, bottled water and pizza bagels get ‘healthy’ label from FDA? October 30, 2018 Health Comments Off on Could gum, bottled water and pizza bagels get ‘healthy’ label from FDA? 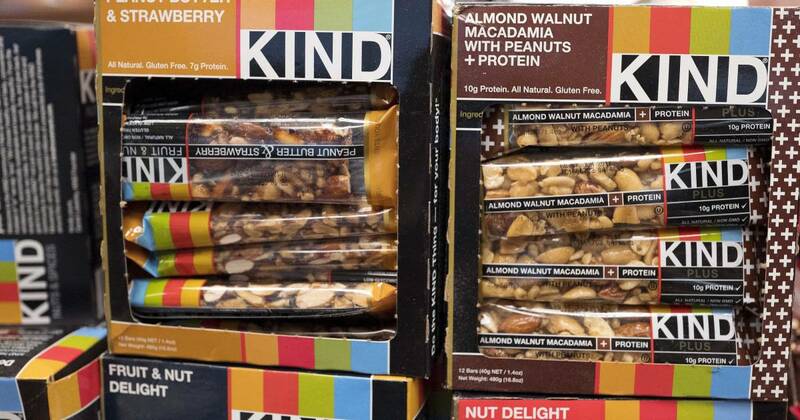 The government’s dusty definition of healthy came under scrutiny in late 2015, when the FDA warned Kind, LLC that its snack bars had too much fat to use the term. Kind pushed back, saying the fat came from nuts. Separate U.S. dietary guidelines , which are updated every five years, no longer set limits on total fat or cholesterol. They still recommend avoiding trans fats and limiting saturated fats, such as those found in meat and milk. But even the link between saturated fats and heart disease is now questioned. The Sierra Club wants “healthy” to exclude foods made with genetically engineered and artificial ingredients. The National Pasta Association wants the option to call gluten-free pasta healthy. Right now, it says some gluten-free pastas fall shy of nutrient requirements.